How Much Water Should I Drink to Lose Weight ☝as Quick as Possible? For the longest time, drinking water is said to help people who want to achieve their weight loss goals. Studies even revealed that about 30 to 59 percent of adults who try to lose weight choose to increase the amount of their water intake. Many claimed that drinking more water is one of the biggest secrets on how to lose weight in one week and maintain it at a healthy level. So, if you ask “how much water should I drink to lose weight?”, we’ll try to answer this question in our article. 3What is the Recommended Amount of Water You Should Drink for Weight Loss? 4When Should You Drink Water? As a human being, your body is composed of about 60 percent water. For optimum function, the human body relies on water to guarantee that all your organs will operate properly, waste will be expelled and blood will remain active and healthy. The body can lose a percentage of water each day by means of sweating and passing urine both as the result of more vigorous exercise and activity and general movement. For this reason, it is a must that you replace the amount of lost water so that there will be no adverse effect on the internal functions of your body. How Much Water Should I Drink to Lose Weight the Quickest Way? How much water should I drink to lose weight? You have probably heard so many times how important it is to drink a minimum of eight ounce glasses of water every day. Water is no doubt among the cheapest, safest and most effective supplements for weight loss that you can find in the market today. 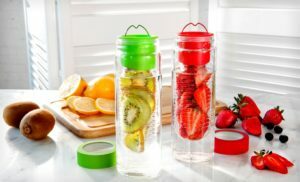 There might not be any magic pills for weight loss in the market right now, but there is such a thing as a magic weight loss drink known as water that can help you lose weight immediately. When you are dehydrated, your workouts as well as the results you get from them are going to drastically suffer. Sad to say though that you will not start feeling thirsty until you have lost around two percent of the weight of your body in water. It is also the very point wherein your exercise performance will take a nosedive. While other experts suggest that active people should drink 91 ounces or 2.7 liters of water every day, others recommended drinking 16 of these ounces before you hit the gym and another 8 ounces every 30 minutes during the sweat sessions. Obviously, this goes beyond the all time favorite recommendation of 8 glasses per day. To ensure that you are totally fueled up when it comes to water, you can weigh yourself before and after your workout. Just make sure that you relieve your bladder before you step on the scale. When your weight after workout is two or more percent lower than your weight before the workout, it means that you are not drinking enough water. Try to increase your hydration a bit further. Consider weight loss and energy as two peas in a pod. Every time your level of energy increases, you actually slash your cravings, crush your workouts and you will generally have the tendency to be off the couch. This is where water can come in handy. Water will keep your cells firing, with your muscles fed with nutrients and oxygen and your brain focused more on working to reach your weight loss goals. If you feel like slumping in the afternoon, drink some water instead of heading to the vending machine to get your sugar fix. Dehydration likes to mask itself in the form of fatigue. Chances are you have been told over and over again that water can make you feel full. However, the ability of water to help you in pinpointing your hunger level is said to be much more helpful compared to its filling abilities. There are instances when you think that you are hungry when the truth is you are actually just thirsty. For example, most of the feelings often associated with hunger, like gurgling and empty stomach, low levels of energy as well as light-headedness also strike when your body is running low on its water levels. The moment you feel that hunger is setting in, you can drink some water for you to know how hungry you are. A study revealed that obese adults who had more than 16 ounces of water half an hour prior to their meals ended consuming lesser calories which helped them lose an extra 2.6 pounds as compared to those who just imagined that they have full stomachs before they sit down for their meal. With sweat sessions not consider, water can boost your caloric burn. This is because each time you drink or eat, your body needs to work or burn calories in order to process whatever is coming in. This is known as diet-induced thermogenesis. This works for water in the same way that this works for all things that contain calories. A certain study proved that drinking around 16 ounces of water can temporarily spike a person’s metabolic rate by as much as 30 percent. Researchers have concluded that increasing your water intake by six 8-ounce glasses or 1.5 liters per day will increase your daily caloric burn by around 200 calories. Water is already great on its own. But it is so much better if you will compare it to other types of beverages like heavily whipped coffee drinks and soda. 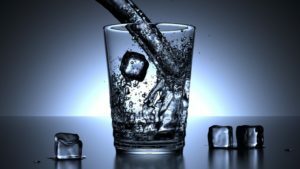 Another study of over 1,100 adults discovered that every 3.4 ounces consumption of water can result to 0.7-ounce reduction in the caloric beverages. So, better have less soda and have more water instead. What is the Recommended Amount of Water You Should Drink for Weight Loss? Most health authorities suggest drinking around 2 liters or eight 8-ounce glasses of water a day. But, this figure is totally random. Just like with most things, how much water should you drink to lose weight will depend completely on you. For instance, people who tend to sweat a lot or those who exercise on a regular basis will require more water compared to people who are not that active. Mothers who are breastfeeding and older people also require keeping a close eye on their water intake. You have to remember that you can also get water from different foods and beverages like meat, fish, coffee, milk, tea and specially vegetables and fruits. As a general rule of thumb, you must always drink water when you are thirsty. Drink enough for quenching your thirst. When you feel that you are in a bad mood, have a headache, are hungry most of the time or you find it difficult to concentrate, then, you are probably suffering from mild dehydration. Increasing your water intake will be able to help fix the problem. According to studies, drinking one to two liters of water a day will be enough to help with your weight loss goals. But, take note that it will only be a general guideline. There are people who will need a lot more while others may require less than these amounts. In addition to that, it isn’t recommended to drink too much water as this could cause toxicity. It can even cause death in extreme cases like water drinking contests. According to some studies, 1 or 2 liters of water daily is enough to help you with weight loss; particularly when consumed before eating meals. It isn’t just how much water should I drink daily to lose weight, but also the time to drink it. Before sitting down to your home-cooked meal or grabbing a seat at one of your favorite cafes, drink a couple of glasses of water. Fill your belly with about 2 eight-ounce glasses of water about twenty to thirty minutes before taking your meal as this makes you feel full, according to a nutrition specialist. Since you will feel a little less hungry, you will wind up consuming only 75-90 fewer calories for a certain meal. Do this 3 times daily, be it dinner, lunch or breakfast. And you will be able to eliminate about 225-270 calories from your diet daily. If you will drink two cups before every meal, you will actually limit the amount of food you will eat. It’s probably what is the fastest way to lose weight. Science also concluded this as a fact and you don’t want to argue with it. You will also feel fuller. It only means that you will eat less and can reduce one’s weight. Through this, you can make sure that you are on the right track to reaching your water goals. If there’s one way to monitor your fluid intake, it’s buying a bottle for yourself. Use it exclusively for your drinking water goals. For instance, if you are using a water bottle that may hold sixteen ounces and you have to drink eighty ounce of water daily for your goals, you only have to fill or empty your bottle 5 times. See to it that you get into the habit of drinking water before going to sleep every night; and another glass of water every morning after waking up. Science concluded that drinking water before sleeping can actually help you keep your body organs hydrated overnight, which is important. Through getting into this habit, you are also contributing to your goal in daily fluid intake. If you like more varieties for your daily weight loss water intake, why not consider some carbonated or sparkling water to your daily routine? You might like a zero-calorie flavored water for your routine. You have to remember that your fluid intake does not have to be boring and you can combine it up if you want. Others even utilize some kinds of machines to make their own flavored carbonated drinks. There are times that drinking water only daily can get boring just like doing the same exercise daily. If you like to add extra flavor without adding a number to your waistline, try to add some sliced up fruit pieces such as limes, strawberries, and lemons. This will add an extra kick without adding any amount to your calorie intake. Most people think that drinking a lot of water is safe. But, it is actually possible that drinking too much of it can be toxic. While rare, once you drink too much water and your kidneys can’t process and excrete this, the electrolytes in your blood are diluted to the levels that are dangerous for one’s health. Hyponatremia is the term called for this condition. It’s something that endurance athletes including marathon runners have to be careful of when drinking a big amount of water during races. Some are already aware of alkaline water. Basically, it is a kind of water that you can purchase and it is worth looking into its health benefits. As with numerous controversial things, there is a lot of contradictory evidence and hyperbole out there. 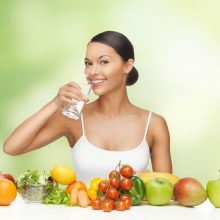 For instance, if you are at a website that is trying to offer you alkaline water, it will just cherry-pick the evidences that support about the health benefits of the water. On contrary, if you are at a serious medical website, it is more likely to state that the alkaline water isn’t of any significant health benefit at all. There’s no doubt that drinking water is a great thing. The health benefits are enumerated well by science. Once you increase your water intake, you will notice an improvement in your well-being and overall general health. The contradictory details about alkaline water must be mostly taken with just a pinch of salt. Marketing can be done anywhere and it is essential to remain objective if possible. If you take note that through simply increasing the water intake, you’re bound to be in a healthier path anyway. You’re in a much better position to analyze the claims regarding alkaline water or some health products. In spite of the evidence about the alkaline water’s health benefits, it doesn’t seem to be a better type of water for everyone than the typical filtered water. One’s body is in a natural alkaline state with neutral pH. While you’re busy eating, exercising, drinking, and doing something else, the normal and natural processes of the body is maintaining the alkaline state without the need to ingest alkaline water. This process is known as homeostasis. The body maintains an alkaline state through the process of homeostasis without extra branded water. Therefore, the only thing that’s real about alkaline water is that it neutralizes stomach acid. In theory, this may help if you are experiencing indigestion. Yet if you start using alkaline water as your main source of fluid on a regular basis, you might be doing yourself more danger than good. In this case, it is always a good idea to let science have the final word. So you would be wise to leave alkaline water on the shelf. Water can be helpful or beneficial for weight loss. It is 100 percent free from calories, helping you burn more calories and even suppress your appetite once consumed before every meal. The benefits of drinking water are greater once you replace sugary beverages with this. It’s an easy way to cut back on calories and sugar. But, remember that you are going to do lots of things more than just drinking water if you want to lose weight. Water is just one of the things that will help you lose weight. You still have to exercise combined with proper diet to be effective in reaching your weight loss goals. Drinking eight glasses of water daily is enough for everyone who wants to stay healthy. Although drinking more than 8 glasses is acceptable, never consider drinking too much of water to avoid toxicity. If you think that you are doing it right, make sure to ask for recommendations from your doctor regarding daily water intake. In this way, you can be assured that you are drinking just enough amount of water to boost your overall health condition.